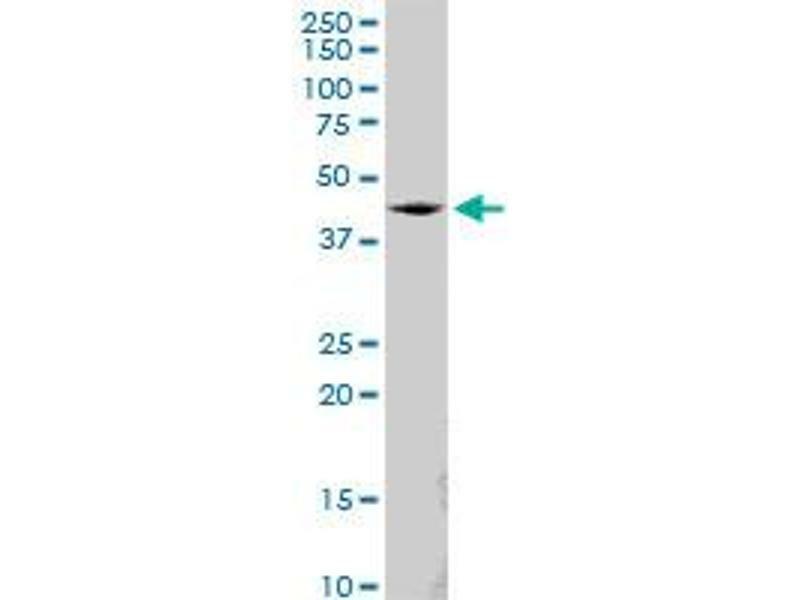 Western Blot analysis of SS18 expression in transfected 293T cell line by SS18 MaxPab polyclonal antibody.Lane 1: SS18 transfected lysate(45.98 KDa).Lane 2: Non-transfected lysate. 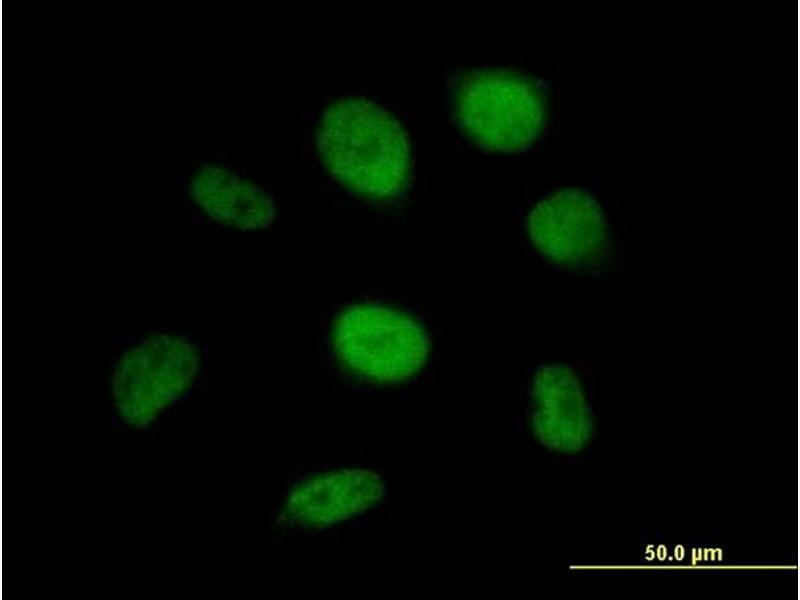 SS18 MaxPab polyclonal antibody. 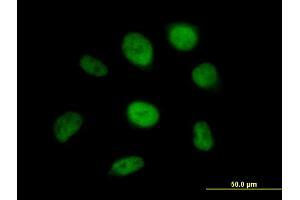 Western Blot analysis of SS18 expression in A-431. 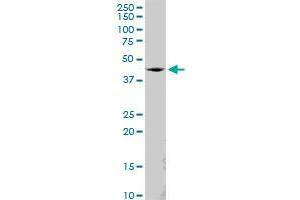 Immunogen SS18 (NP_001007560.1, 1 a.a. ~ 418 a.a) full-length human protein.